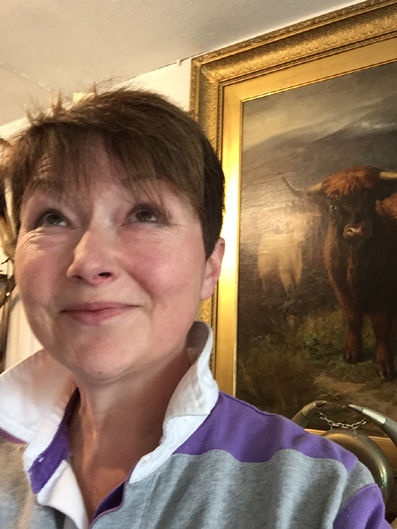 For the last 40years I have been running the Horncarver's business, with my husband John, on the north shores of Loch Tay. Nestled at the foot of Highland Perthshire's highest mountain, Ben Lawers ( Beinn-Latha-ur ). 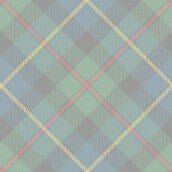 In 1993 it was decided to establish a highland fold here, to compliment the business, and so the Beinn-Latha-ur fold came to be! Our foundation cows selected for highland character,breeding and breediness, an AI programme was implemented, using the best bulls available. 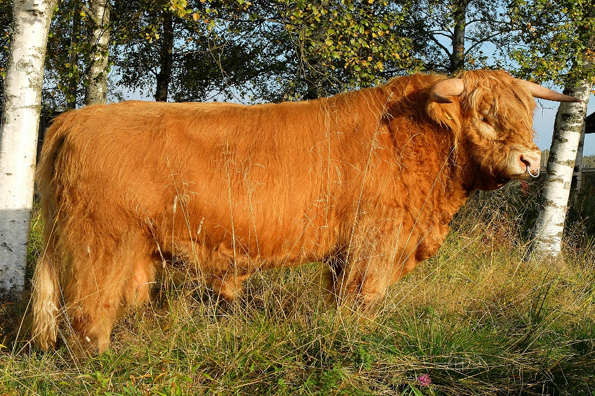 Success soon followed in the showring, and at Society sales at Oban, a highlight being Male champion with an AI son of MacDohmnull of Douneside in 2003, a first in our era! I have been on the Society panel of judges for 3 years, and have judged quite a number of shows , so it is a great honour to be invited to be a judge of this years Virtual Show. I look forward to seeing photos from around the world of our wonderful breed! 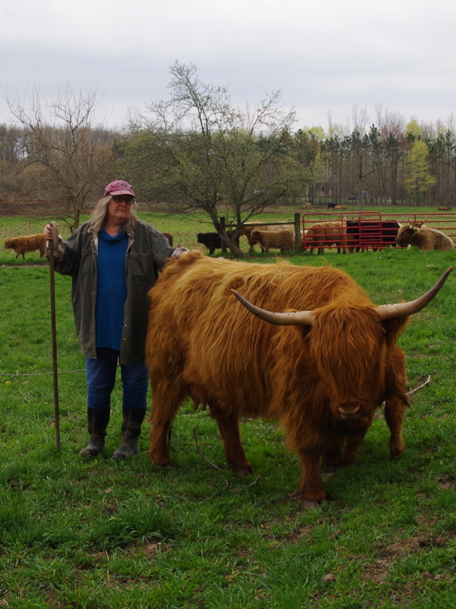 I wasn't born into a farming family and I came to appreciate cattle, and Highland cattle in particular, at the relatively ripe old age of 26, when we purchased our first two registered heifer calves. At this point I was 3 years out of veterinary college, having successfully avoided virtually every cattle rotation that wasn't a requirement for graduation, and I was practicing exclusively small animal medicine and surgery (which I continue to this day) My husband Larry and I decided to add some cattle to the pasture that was already feeding 6 horses. An accidental exposure to Highland cattle had sent us on a 2 year trip of exploration around the US, looking at the breed and talking to the breeders before we finally made the life altering purchase of those first two. It was another 3 years before we finally had our first calf on the ground. Most of the horses were gone at that point as I became more and more enamored with the cattle and the herd has since grew exponentially. Thirty four years later, LEA-White Farms runs between 45-60 brood cows, calve both in the spring and fall, and most importantly, continue to enjoy raising the cattle and showing the cattle (as long as I can get talented young people to do all the work; my expertise at the end of a halter is pretty limited). Larry and I do essentially all the work on the farm ourselves. We grow our own hay and put it up as either dry hay or haylage. Other than our mineral mix and the small amounts of corn and molasses fed to the weanlings, everything else our cows consume is grown on the farm. This past summer we had the privilege of hosting a young woman from Sweden at our farm for 5 months and she did all the halter-breaking of heifers for us. I discovered that I really like it when someone else does all the work and does a much better job than me. Kudos to Caroline!!!! Both Larry and I have been active participants in both our national and regional Highland Cattle associations since the late 1980's. I have written articles on a regular basis for our AHCA quarterly publication, the Bagpipe. These are usually well-received and the most moving part of being associated with these cattle has been the comments and thanks I have received from breeders (not limited to Highlands), from all over the world, who have read my articles and written to me in appreciation. I act as the webmaster for our farm websites and our regional Highland association website as well. I don't consider myself a cattle judge, but I certainly judge my own cattle and I know what I personally like and don't like. It is an honor to be asked to judge the Virtual Show this year and I look forward to it. Please note the judges panel has been reduced after input from members of the breeders group to 2 judges. Unless a major sponsor can be found to provide ribbons and trophies it has been decided no ribbons or trophies will be provided and only placements on the net. Sponsorship will not be sort from the societies or a single Fold. Disclaimer: The Virtual Highland cattle Show is a stand alone show that is not associated with any single fold, and will not allow animals that are polled or minatures to participate.